The Ranch at Laguna Beach is the premier Southern California ranch resort. Nestled in the majestic Aliso and Woods Canyons in the heart of Laguna Beach perfectly reflects the rich history of these storied canyons and offers one-of-a-kind guest rooms, wedding venues and meeting spaces. 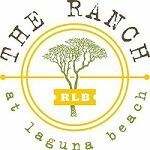 The Ranch is a microcosm of the best of Laguna in one organic, refined place. Our staff offers an insider’s take on hidden surf spots, shops and specialty galleries. Laid-back luxury speaks to the Laguna mindset. Nonstop programs, such as our barefoot Friday golf with three clubs, weekly BBQs and monthly artist galleries, all capture the vibe our unique locale. Villa Marcello is one of the premier catering establishments in Queens, New York.